Because we can perform our stunts safely! 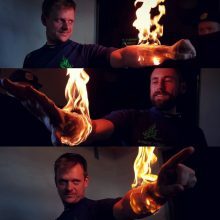 Founded in 2006 EUROPEAN STUNTS (original name “Agilitas”) is a group of talented recognised stuntmen who never ceased to be passionate about their work. 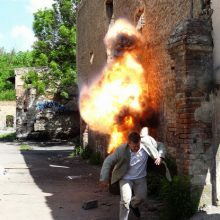 Made up of profesional stuntmen, martial artists, fencers, fx specialists and pyrotechnics EUROPEAN STUNTS can offer a wide range of services. EUROPEAN STUNTS s.r.o. (live shows) and CZECH STUNTS s.r.o. (film projects) are sister companies. They are sharing the stunt team and mutually complementary portfolio of professionals. 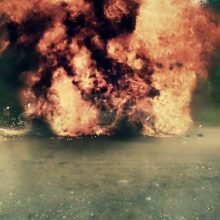 We believe in continuous improvement and inovation as being the only way how to create breathtaking and stunning action scenes our audience and clients havent seen before. While trying to push our limits we always adhere to our strict safety rules and consider safe work enviroment as essential to our work.